These bars are a pseudo-healthy balance of saltiness, sweetness, and heartiness. 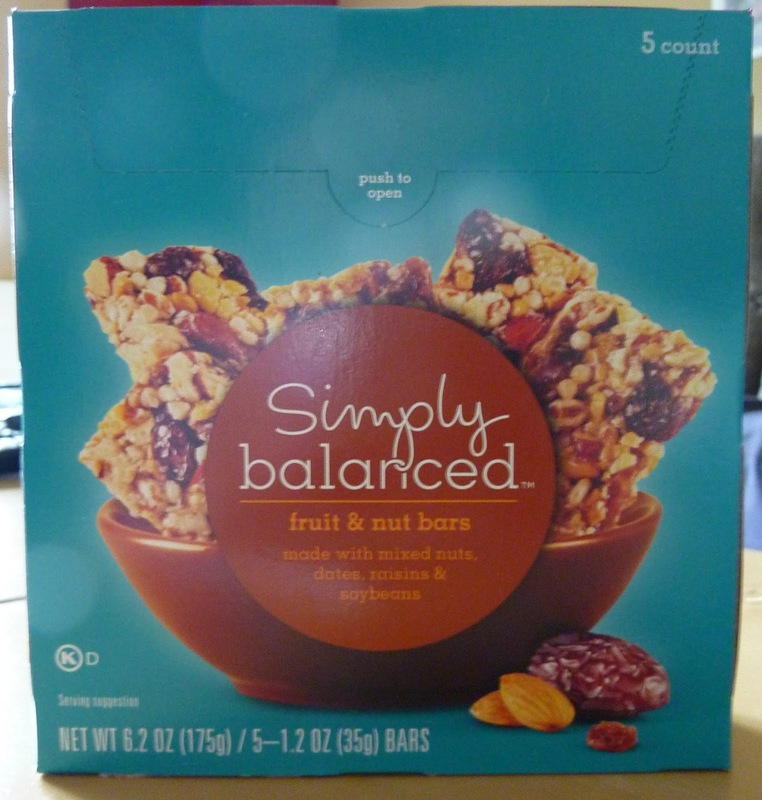 The main ingredient is "mixed nuts," which can't be that bad for you, and although we're looking at "corn syrup" as the second ingredient, I'd definitely rather see that than HFCS, which thankfully neither this product nor any other Simply Balanced product contains. With 9g of fat per bar, they're not exactly a light option, but guess what? They actually taste good! And nuts and dried fruit are always good for sustained energy, so overall, this isn't a bad choice for snacking on the go. The texture is pretty good, too. 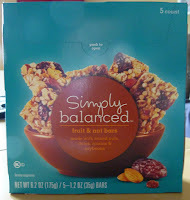 There's a slightly sticky, honey-esque glaze that holds all the fruit and nuts together, but it's not so thick that it leaves a residue in your mouth, unlike some other brands of granola bars I've had. I could see these bars being a regular purchase at our home since they're filling enough to curb in-between meal cravings, they're portable enough to take with us on our weekend jaunts and adventures, and they're not going to make us ridiculously fat. They taste like sweetened nuts and dried fruit—with soybeans thrown in there somehow. Don't ask me how that works...but it does in this case. This is one of the better Simply Balanced products that we've tried so far.